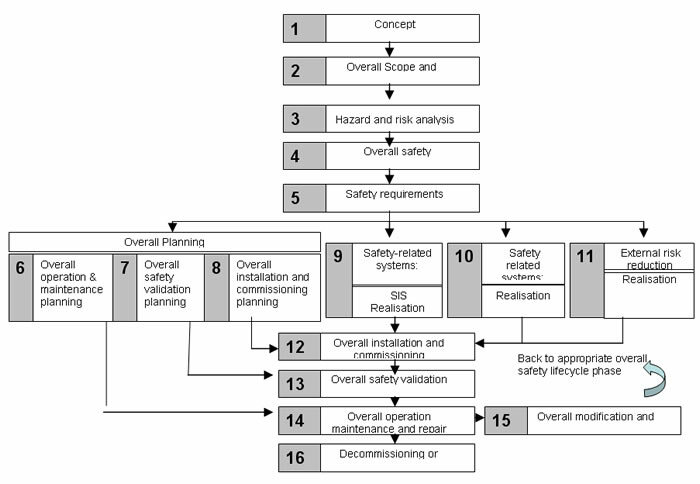 What are Safety Integrity Levels (SIL’s)? Safety Integrity Levels (SIL’s) are a measure of the reliability of the safety functions to be achieved by the Electrical, Electronic and Programmable Electronic (E/E/PE)* safety related systems, and quantify the level of ‘risk reduction’. The SIL is determined by hazard and risk analysis of the process and of the associated control measures. This determines the required risk reduction, expressed in terms of a ‘Safety Integrity Level’ for the protective system, and gives a target value for the probability of failure on demand of the protective system. The hazard and risk analysis also determines the required failsafe modes and valve closure times etc. The above process results in the production of a ‘Safety Requirements Specification’ for each Safety Instrumented Function (SIF). This forms the basis of the design for the Safety Instrumented System (SIS). In a nutshell the SIL assessment provides statistical representation of the reliability of the Safety Instrumented System (SIS) – the system that protects a manufacturing process by providing safe control functions for processes – e.g. emergency shutdown etc. What regulations cover Safety Integrity Levels? IEC-61508,”Functional Safety: Safety Related Systems,” International Electrotechnical Commission,Technical Committee (2010). IEC-61511, “Functional Safety: Safety Instrumented Systems for the process industry sector”, International Electrotechnical Commission, Technical Committee (2004). “Programmable Electronic Systems in Safety Related Applications”, Health and Safety Executive, U.K. (1987). Although not legislation, there is a legal necessity that Industry (what ever that may be) uses best practice in performing its function – these regulations are viewed as “best practice” in law and have been cited in litigation – The HSE endorse them and disasters such as Buncefield back in December 2005 where investigators have included them in lesson learned recommendations, have heightened their importance. Why are Safety Integrity Levels (SIL’s) important? Business benefits can be obtained through the use of Safety Integrity Level (SIL) Assessments; they reduce the number of false and unnecessary alarms and nuisance trips. SIL’s allow the declassification of some trips and the lengthening of test intervals in others, this in turn reduces the cost associated with trip testing. Additionally disasters such as the December 2005 explosion at the Buncefield Depot have led investigators to make recommendations which include the use of SIL assessments. What are the benefits of functional safety & SIL determination? SIL Determination demonstrates compliance with regulations. SIL Determination is proven to reduce the number of false and unnecessary alarms and nuisance trips. SIL Determination helps protects your licence to operate. SIL Determination helps develops safer processes. SIL Determination reduces operating costs, thereby increasing efficiency & profitability. SIL Determination helps raise stakeholder and public confidence. The regulations – what does BS IEC-61508 and BS IEC-61511 cover? Both of the above regulations are issued by the IEC – the IEC stands for International Electrotechnical Commission. This is a not for profit organisation that operates in over 130 countries. The commission issues international standards for all electrical, electronic and related technologies which when combined as known as “electrotechnology”. The UK has agreed to adopt the standards and was therefore they are published by the British Standards Institute, is has also been adopted by the European Standardisation Body for Electrotechnical matters and they are known in the UK as BS IEC-61508 and BS IEC 61511. The BS IEC-61508, first issued in 1997 is an umbrella standard which provides guidance on the use of Electrical, Electronic and Programmable Electronic Systems* which perform safety functions. It is a generic standard, (not aligned to a specific industry) however it does form a base to aid development sector standards such as BS IEC 61511. The objective is to ensure that the Safety Instrumented Systems (SIS) are fit for purpose and are maintained/ tested to ensure integrity, thereby limiting the risk of a hazardous situation. The IEC-61508 is comprehensive in its approach and uses the Safety Lifecycle to ensure that the scope of the Safety System is fully investigated and that activities such as maintenance, modifications, retrofits are considered and incorporated as they can have an impact on the system – altering its effectiveness and or integrity. The standard recommends a risk based approach which leads to the determination of Safety Integrity Levels (SIL’s) and looks at reducing the risk to As Low As Reasonably Practicable (ALARP). IEC-61511 –Functional Safety – Safety Instrumented Systems for the process industry sector. The IEC-61511, first issued in 2003 is the standard for the process industry sector in particular for “Safety Instrumented Systems” (SIS’s). 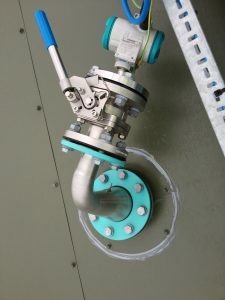 These SIS’s are used in the chemical and Petrochemical process industries for measuring and controlling process variables, thereby ensuring that safe working limits are maintained and limiting the risk of a disaster. For example the SIS would maintain the liquid level of a flammable material, ensuring containment and preventing a hazardous event from taking place. The main elements behind the safety standard are to a) ensure that the Safety Instrumented System is fit for purpose – in terms of the function that it provides and b) that the systems integrity is adequate to guard against failure.